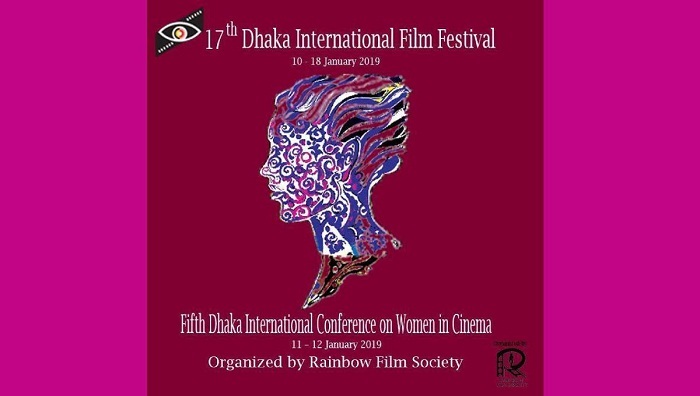 The 5th ‘Dhaka International Conference on Women in Cinema 2019’ will begin in city on Friday. The two-day conference will be held at the Gallery of the Alliance Francaise de Dhaka as part of Dhaka International Film Festival scheduled to be held from January 10 to 18. The organisers also said that women comprise half of the humanity and the inherent importance and relevance of women's issues in global progress. It is a high time that such a conference is convened in a country like Bangladesh so as the world is going through enormous changes on all fronts having both positive and negative implications for women. Film critic and film historian from Istanbul, Turkey Alin Tasciyan will present ‘The rise of the young generation of the female filmmakers’ while ‘From Screen to Screen: Women’s Experience of Watching Cinema in Urban Bangladesh’ will be presented by Dhaka University Professor Dr Gitiara Nasreen. Dr Debjani Halder, independent filmmaker and social activist from Kolkata, India will discuss on his papers ‘Body is not her own: Patriarchy: Violence and prostitution in Post Nineties none mainstream Cinema: A Critical Feminist Approach Key Words: Body, Sexuality, Violence and Indian Cinema’. Film theorist, critic as well as founder and editor-in-chief of the first Montenegrin film magazine Camera Lucida Maja Bogojevic will present ‘Cinematic gaze and gender masquerading: some film examples’. Indian director and actress Aparajita Ghosh will present the keynote paper ‘Emergence of woman filmmakers and the role/importance of film institutions in this changing scenario’. Trainer, writer and consultant for the festival, international sales and financing strategies from LA, USA Sydney Levine will present a paper ‘What are American Women Doing to Alleviate Gender Discrimination in Cinema?’.